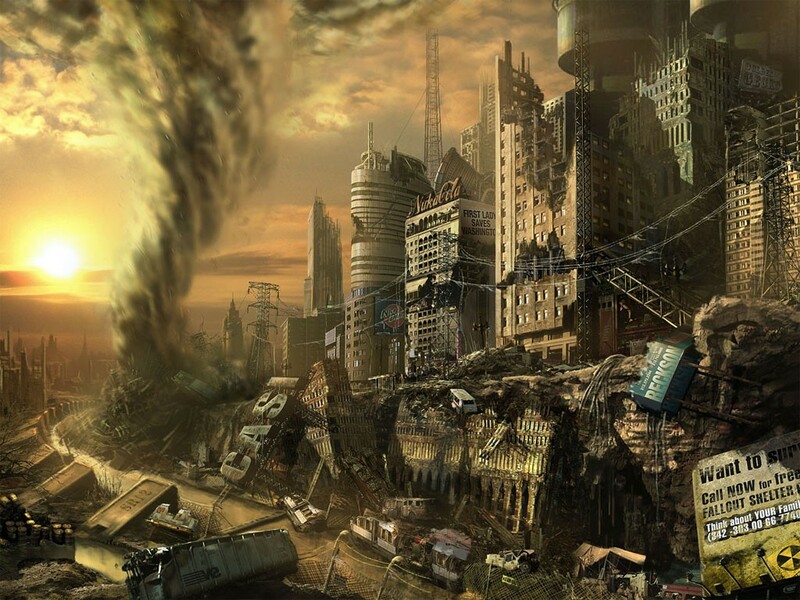 “End-Times”, “Last Days”, “Armageddon”, “Rapture” are various beliefs that fall under the study of Eschatology. Eschatology is derived from the Greek terms eschatos meaning last or final and logos meaning word or study. It is therefore the study or word of last things (Bell 1). The term was coined in 1844 and its year of birth is significant. The year 1844 was when William Miller predicted the end of the world. He was not the first nor is he the last to make such predictions, but his assertions impacted tens of thousands of lives and we still feel its effects today. Eschatological, or Apocalyptic, belief is harmful and disrupts people’s lives resulting in resentment, disappointment, and life altering choices that would not have been made without the conviction that the “end” was imminent. The years (A.D.) 666, 1033, 1260, 1284, 1492, 1496, 1524, 1588, 1656, 1666, 1700, 1789, 1800, 1844, 1914, 1925, 1975, 2000, and 2012 all have something in common. They were and are years proclaimed to be the time when Christ would cleanse the earth of sinners and his thousand year reign would begin. (Belief in the Millennial Reign is called Millennialism and those who believe in it are knows as Millenarians.) Mark Kingwell in his book Dreams of Millennium noted that while “not all the militant prophets have been Christian…millennialism has proved more popular with Christians than with people of other religious persuasions” (Kingwell 47); for this reason I will primarily focus on Christianity in this paper. There have been many reasons why people have declared a certain time “The Last Days”. The years 666 and 1666 A.D. are self explanatory as having the Mark of the Beast of Revelation (Revelation 13:18). Other years were preceded by famine, plague, fire, earthquakes, volcanic eruptions, political coups, or simply the harbinger of another century. The reason such events inspire millenarian zeal is because the Gospels of Matthew, Mark, and Luke relate signs Jesus gave which we could recognize on earth as the sign of his arrival. These were: “nation will rise against nation, and kingdom against kingdom, there will be food shortages and earthquakes in one place after another” (New World Translation Matthew 24:7; Mark 13:8; Luke 21:10, 11). Ever since those words were uttered, Christians have imagined themselves living in the “Last Days”, believing their specific lifetime particularly unique. Such ones find comfort in the belief that they and their time will see “the end”. To believe in rapture or some other form of deliverance enables Christians to imagine they can cheat death. They never have to watch loved ones die, or worry about their own mortality–hence, the reason every generation wants to be the one to witness Armageddon. On careful examination such reasoning appears rather self-serving. However, when faith and religious affiliation are based entirely on future rewards, worship tends to focus almost exclusively upon such things rather than the love and devotion we are told to feel. Such a single minded focus only creates disillusionment when predictions fail. There are also other aspects of an apocalyptic fervor which will always provide plenty of adherents. According to the aforementioned author “the Jews and Christians predict the end of this benighted world, and the beginning of the next one, as a way of coping with their very real slavery. In these tales there is always, then, a chosen people who are beset by some complex of misfortunes, usually combining the political and the natural” (Kingwell 30). Judaism and Christianity have certainly had their share of persecution which makes the appeal for deliverance all the more appealing. Yet, one could wonder how much of their slavery and persecution is a direct result of their apocalyptic approach to life. These Millenarians not only received a great deal of persecution from their confounded neighbors but also brought a lot on themselves by cutting off all ties from a world they believed was passing away. Their faith was so complete they burned all bridges and lived to regret it. Creating such exclusivity offends those on the outside. To cut oneself off from society in general, in preparation for an apocalypse, indicates the rest of humanity isn’t going to make it. Only those exclusive adherents to the dictates of the current prophet can hope for deliverance. This creates anger and resentment among those on the outside, bringing persecution upon the ones arrogant enough to believe they are in sole command of the truth. Millerites faded into obscurity, but William Miller’s conviction could not disappear. His teachings significantly influenced the foundation of the Advent Christian Church, which later splintered into such sub-groups as the Seventh-Day Adventists, Jehovah’s Witnesses, and even the Branch Davidians. These groups have continued to set dates for doom and millions of their followers have been impacted—sometimes to the cost of their lives (Kingwell 49). 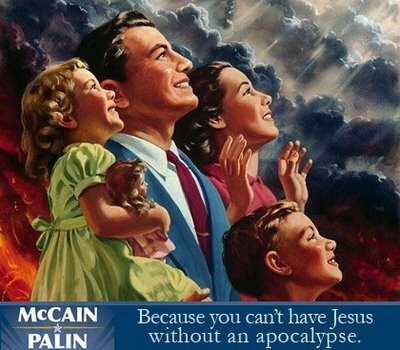 This leads us to the next bi-product of apocalyptic delusion: psychological damage. Millenarian groups are typically isolationists. Their beliefs have a tendency to compartmentalize them and even teach exclusive association. This creates a “high level of fear anxiety, severe neuroticism, introversion and/or social isolation tendencies” (Bergman 4).With the viewpoint that this life is only temporary, higher education is not only not encouraged it is highly discouraged. There are few university professors among millennial adherents. In fact, there are few high school graduates. This contributes to a naiveté amongst the followers that guarantee total reliance and acceptance without question (Montaue 141). However, as time goes by, these faithful adherents lose satisfaction in their menial, blue-collar jobs. With years of service behind them and a fading faith in a future deliverance, they begin to question. Worries over retirement or social security never touched them in the past—but suddenly they do. These ones, who were told they would never graduate from High School, are facing middle-age, their children are graduating from High School, and the parents they thought would never die are doing just that. Time-tables are shifting, interpretations are being reinterpreted. Faith begins to falter as explanations for the delay fall short. But it is not as easy as that. As doubt sets in and faith falters, panic rears its ugly head. Imagine having a future that has always been a part of life being snatched away. It’s like being set adrift without a life preserver. To realize everything in life has been misdirected is not only terrifying but traumatic. Add to the internal trauma, the possibility of losing all friends and family who still adhere to the old system of beliefs and it is easy to understand why “many suppress their doubts and continue in the same routine, true feelings hidden deep” (Bergman 10). Certain ones of these apocalyptic groups have a strong evangelizing belief and send out all or some of their adherents to preach and warn their neighbors about the coming end. These laymen, although existing in an isolationist religion, are required to take the message to frequently hostile neighbors. Psychiatrists have found widespread incidence of “paranoid schizophrenia” among such ones due to the frontal attacks they are daily required to subject themselves to (Bergman 12). Eschatology was coined in 1844, immediately after the Great Disappointment when William Miller predicted the end of times. The word comes from the Greek term eschatos which literally means farthest or last. It is used to identify all forms of theology that look to the second coming, Armageddon, the last judgment, resurrection of the dead, and the end of the world as we know it. My assertion is that it is unhealthy physically and mentally for people to live for a future event that keeps fading into the distance. It is tantamount to standing on a precipice, always afraid to move for fear of slipping off and losing the only chance at happiness. People postpone life always presuming if they make certain sacrifices now they will be paid abundantly in the “near” future. When death or sickness comes into such a life; questions, doubts, and resentment arise for a life half-lived. The very worst emotion one feels, however, is fear. Fear of the prospect that a lifelong goal may not exist. A life of self-sacrifice may have been for nothing. If one is unfortunate enough to realize this fallacy, the feeling of a life squandered is the result. If we would like to take up a new hobby, better not. It will take away from the time that should be spent in the ministry or reading the Bible. If we have a hungry mind; don’t read anything unless it is printed by the church for anything else could corrupt your mind and lend place for the Devil. Everything in the world is there to tempt us away from God. Be on guard at all times! As soon as doubts start to occur, Satan has found place in the heart. Everyone who follows their heart and neglects the specific tenets of the faith will die at Armageddon—forever. Dying is not all we must fear, though. A change in ideation could result in the total alienation of family and friends. The loss of everything we have ever known and valued. Don’t doubt! Don’t question! Accept as the only path to the real God.